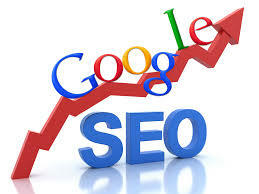 Search Engine Optimization and Design Services that put YOUR Business on the first page of Google! Search engine Optimization (SEO) has become very complex in recent years. It’s become an ever-changing mix of Internet and marketing technologies. It has also become increasingly unlikely – if not downright impossible to get a small business’ website on Page 1 of the search engines without the help of a talented and experienced team of design and SEO specialists. The i.Net Technologies team has has been in business since 1997 generating high quality search engine traffic for businesses across the country. On the basis of your online marketing goals and the products and services you want to promote, we will get to know your industry and your competition. This is an essential step in planning your Internet marketing strategy. We’ll compare how your site and your competition are showing up in the search engines. We will review, as well as analyze the strengths and weaknesses of your competitor’s sites in order to uncover potential “pockets of opportunity”. We’ll help identify the search terms your customers use most when searching online for your products. Example: if you are in the landscaping industry, and your company name is ‘Acme Landscape’, I would recommend concentrating more efforts to optimizing the word ‘landscaping’ due to the fact that 75+% of people searching for either of the words ‘landscape’ or ‘landscaping’ search for ‘landscaping’ Your results will be far better. We’ll even provide PPC management, if you choose to go that route. PPC is a costly and usually less effective form of advertizing unless closely monitors and managed. It requires a great deal of effort to target the best possible terms to get the most for your money. It also requires certain practices on the part of the business. For example, a chiropractors office that has limited hours should forward the phone to someone on call after hours. In this case, if someone calls from the ad and gets voicemail, they are likely to go to the next person on Google. If you can’t be available to customers or pateints at least 12 hours a day, then PPC might not be a good choice for you. We will work on maintaining and improving your listings, every month. Some companies guarantee a certain number of top 10 or top 20 listings and when they reach their goal, they don’t continue working to improve it, even though they got paid for the entire year. Don’t Wait! NOW is the BEST Time!! You don’t need to spend a fortune on advertising anymore. With i.Net Technologies, our prices are affordable. We can charge less because we know you are going to stay with us year after year because your website will be successful and continue to grow. It’s no longer enough just to have a good looking website with pages of useful and helpful information, and if your website doesn’t look professional and engaging, and offers little if any useful information, your site is sure to experience high bounce rates and low conversion rates. What does i.Net Technologies do? We are a marketing company that does web design, hosting, branding, graphic design, social media marketing, photography, videography, and more, but we specialize in Local SEO (Search Engine Optimization). This requires on-site & off-site SEO work to be done. 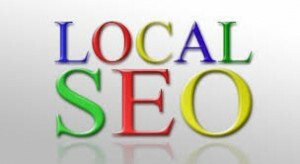 In other words, we help businesses achieve high rankings for local searches related to their business. Businesses such as service industries like landscaping, tree care, florists, garden centers, electricians, deck builders, roofing and siding companies, construction, etc.… as well as dentists, chiropractors, acupuncturists, attorney’s, distributors, auto mechanics, local ‘Mom & Pop’ stores, and so on. Placing for Google’s local & organic search results is the priority. Most companies expect a return on their investment. Like all forms of marketing, a website needs to generate sales, customers, clients or patients. Can you guarantee the top spot on Google? No. Nobody can guarantee the #1 position. Anyone guaranteeing the #1 spot is taking you for a ride. 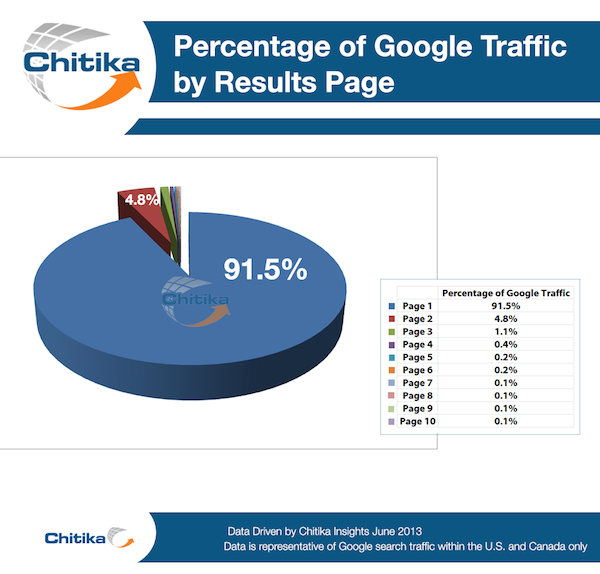 We, however, have delivered tens of thousands of first page listings including hundreds and hundreds of #1 spots. We may not guarantee it, but it is certainly our goal to get you #1 spots for keywords in your industry, locally. 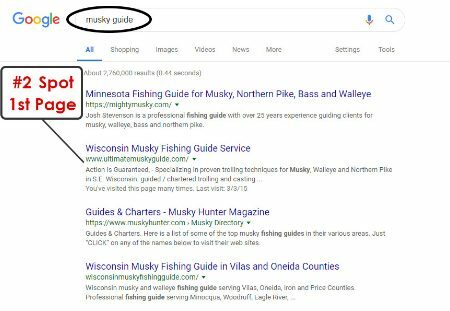 For axample, If you search for ‘Musky Guide‘ on google, you will find www.ultimatemuskyguide.com in one of the top 3 natural listings. We have kept them there since we started maintaining their website in 2001. Google is often releasing updates to their algorithms, and your competitors are always competing for the top spots on Google, so it’s important for your SEO team to constantly be learning what Google wants and expects and to tweak how the do things to meet Google’s demands. 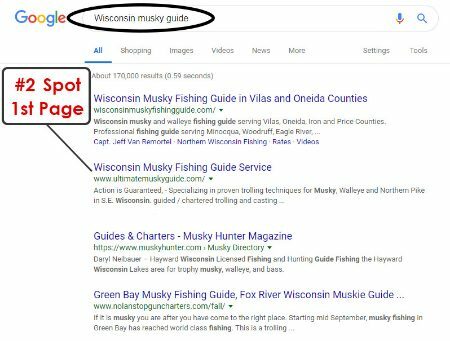 We often take over SEO companies that find their listings dropping and what we find most often is out of date practices being used, which will always fail at keeping your listings up high on Google. What all will you do for me? For local SEO to be effective, we must address many things. Your website, off-site listing consistency, reviews, links, etc… There is up-front work that needs to be done to get you in a decent place for us to start our monthly maintenance and growth efforts. 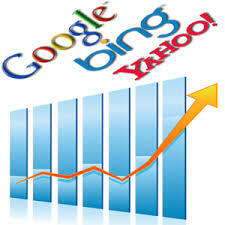 Once all that is completed, we start the standard or advanced monthly SEO service. i.Net Technologies also provides top end website hosting services. Our servers are co-located with the #1 rated server management company for website loading speed in the united states (According to Google in January of 2019). Our servers have ultrafast Silver State Drives as well as the best software and hardware to make sites on our servers the fastest loading in the country. That is, if the proper work is done on the website design end as well. That is another thing we do on our end. We can also help you with branding. Whether you are a new company or one that just needs to bring your company’s branding into the new millennium, we got you covered. Can I pick which keywords I come up for on Google? You can but there are things we take into consideration that strongly effect which keywords we focus on. First, we do keyword research to discover which keywords are the most productive keywords for your industry. Then we figure out which keywords you are ranking for or close on. How long before I see results from search engine optimization? Sometimes we can get quick results with some keywords just from the up-front work we do or within the first couple months. Some keywords are harder to rank for than others. We work diligently every month to maintain rankings we have accomplished and achieve new results as well. We have a couple of monthly packages to choose from based on your budget and there are some up-front costs to get started. These include both on-site SEO preparations including individual page repair and plug-in installation & set-up as well as off-site SEO including dealing with GoogleMyBusiness, Google Analytics, Google Console, off-site citations, and more. Most of or small business clients spend $600-$2000 up-front and $250-$500 per month. Why do I need to pay monthly? Can’t you just fix my site up-front? We can get everything fixed and heading in the right direction up front. We then need to see the results of everything we did and proceed with all that we do every month to improve and maintain what we have accomplished. Also, Google is always updating (Making changes) to their algorithms, so, all your rankings are fluid and if not maintained, they will slide down while your competition continues to stay where they are or rise higher because they have someone maintaining their listing. Search engine optimization isn’t just a task to complete. The best SEO companies are constantly having to learn all the new ways search engines, specially Google, what things done.